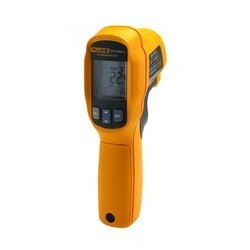 Offering you a complete choice of products which include fluke 62 max infrared thermometer. The new Fluke 62 MAX+ infrared thermometers are everything you’d expect from the experts in measurement tools. Small in size, extremely accurate and very easy to use. IP54 rated for dust and water resistance. Precise yet rugged enough to take a 3-meter drop. In fact, the 62 MAX+ is so tough, they’re the only IR thermometers around you can handle without care. Looking for IR Thermometers ?